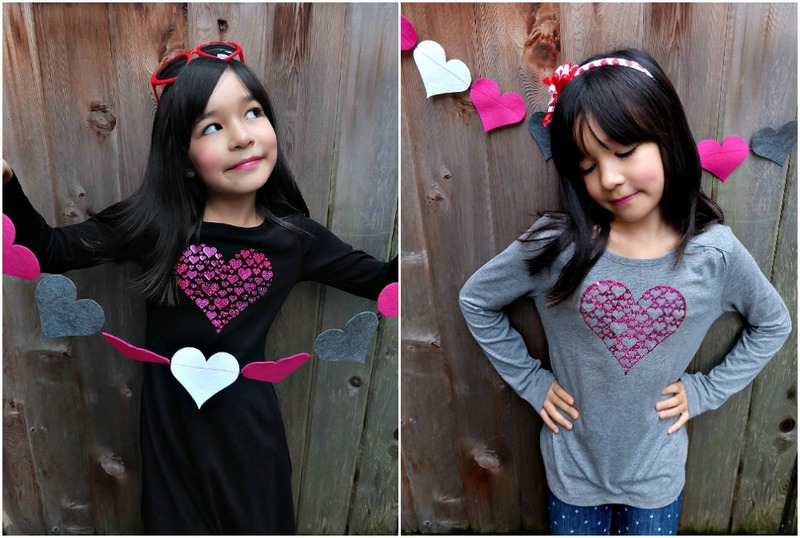 Celebrate Valentine’s Day (or Galentine’s Day) in style with this adorable DIY heart shirt! 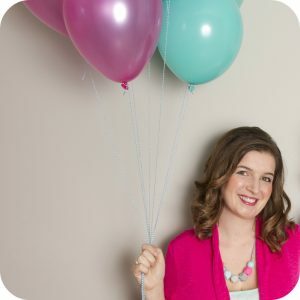 Make this project using your Cricut Maker or Cricut Explore. With this unique design one cut can make two shirts! Last weekend I was out for a walk with the dogs and the kids and saw multiple homeowners outside removing their Christmas lights. I commented to a friend that I wish that all holidays were celebrated with pretty lights decorating your house (she told me I should start a new trend). Seriously though, I love the warm and festive look of Christmas lights… who’s with me? Anyone else feeling the post Christmas blues? I love looking forward to happy things and guess what friends??? Valentine’s Day is just over a month away! Yay!!! Why celebrate for one day when you could celebrate for a whole month? If you’re going to be celebrating Valentine’s Day for a month you need a few different Valentine’s Day “looks” and today I’m giving you two shirt designs that can be made with just 1 Cricut cut! Does anyone else ever feel guilty when they weed their iron on vinyl and throw all those scraps into the garbage? I do! I go so far as asking my kids if they want them for their craft boxes! 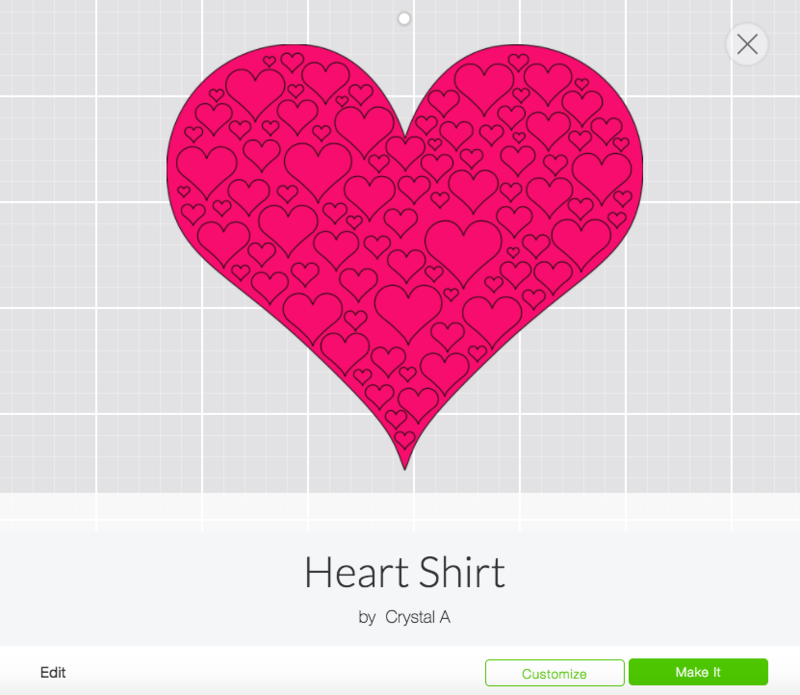 The other day I was in Cricut Design Space designing a heart shirt for Valentine’s Day. My original idea was to create a heart shape out of a bunch of smaller hearts. To accomplish this look, I inserted a heart shape in Design Space to use as my template and then laid smaller hearts on top of it. I was planning on deleting the heart that I used as my template after I finished using it but then it hit me– If I made the heart template a bit bigger and attached it to the other hearts then I would have a heart with little hearts cut out of it (kind of like a snowflake) that I could use for one shirt, and my small hearts in the shape of a big heart for a second shirt! Yay! No iron on vinyl waste! 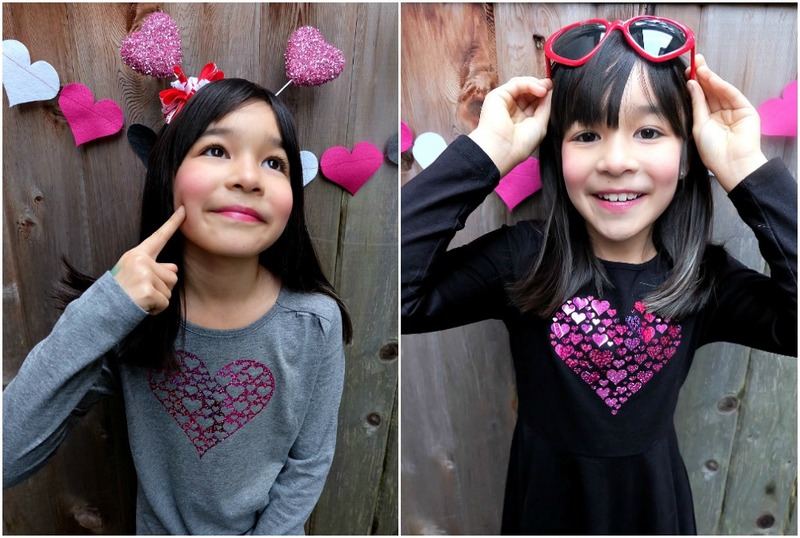 I grabbed an adorable dress and a blank long sleeved shirt from my local kids clothing shop and created two adorable Valentine’s Day looks for Miss Bean! After I made these shirts it also hit me that they would be super cute at Best Friend Forever Shirts to give to friends for Valentine’s Day! Do you remember the necklaces that said “Best Friends Forever” on them and were cut in half and you wore one and your BFF wore the other? After I bought the shirts I had to figure out what kind of iron on to use! You know how much I love glitter? I was about to reach for my favorite Glitter Iron On in the shade Lipstick when I remembered that I had a roll of Cricut’s new Holographic Sparkle Iron On in the color Fuchsia! 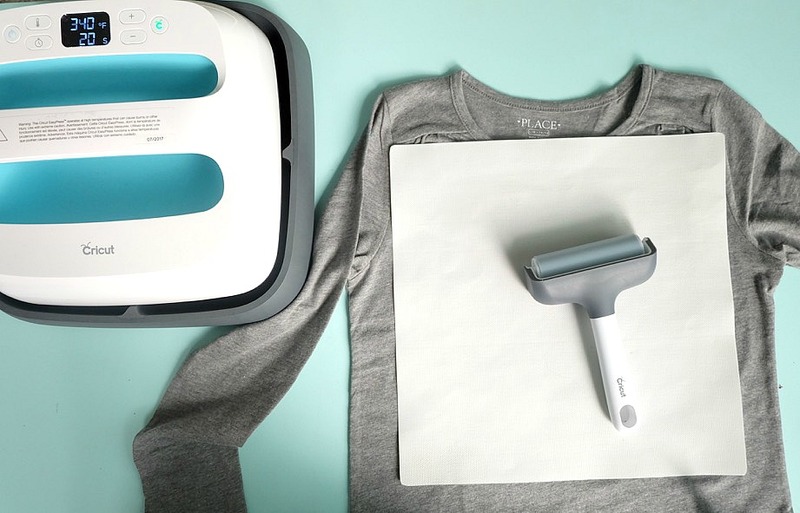 This iron on combines all my favorite things– the sparkle of glitter iron on, the shine of foil iron on, plus it changes colors as you move like the Cricut Holographic Vinyl! In other words– It’s amazing! The fuchsia has shades of red, pink and purple depending on how the light hits it which is perfect for Valentine’s day! I used my Cricut Easy Press to press the design to the shirt and the dress. 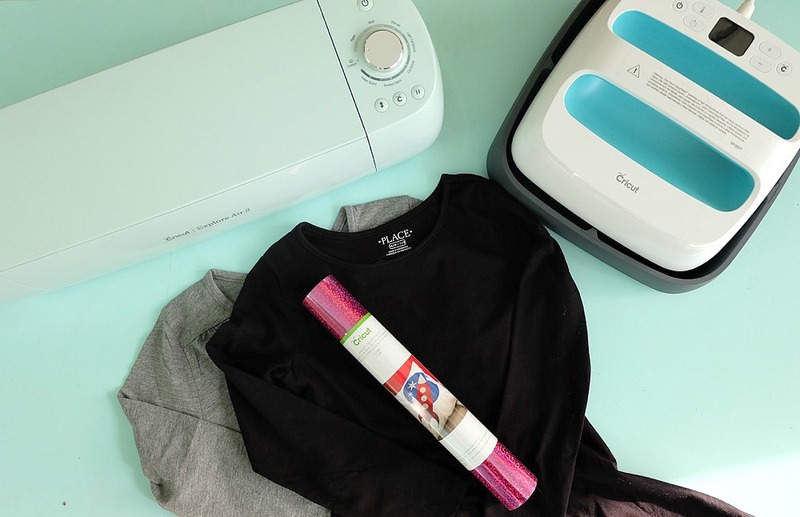 The Cricut Easy Press makes creating clothing and other accessories with your Cricut SO MUCH EASIER. I’m obsessed. It comes with a handy little card that tells you what temperature to set your Easy Press to depending on what kind of iron on you are using and what you are attaching it too along with how long to press it for. You set your Easy Press to the correct temperature and time setting and it makes getting perfect iron on results every time a breeze! Two other tools that I used for this project that are new to me, but make the process even easier are the Cricut Iron On Protective Sheet and the Cricut Brayer Tool. I usually put a towel down between my iron or easy press and the shirt I’m attaching it to. The protective sheet eliminates the need for a towel and allows the perfect amount of heat to transfer through which is so important. I also used it for this project for the second heart shape because I had weeded the design off of the plastic sheet that it was attached to. I just put the protective sheet between my design and the Easy Press and it worked like a charm. 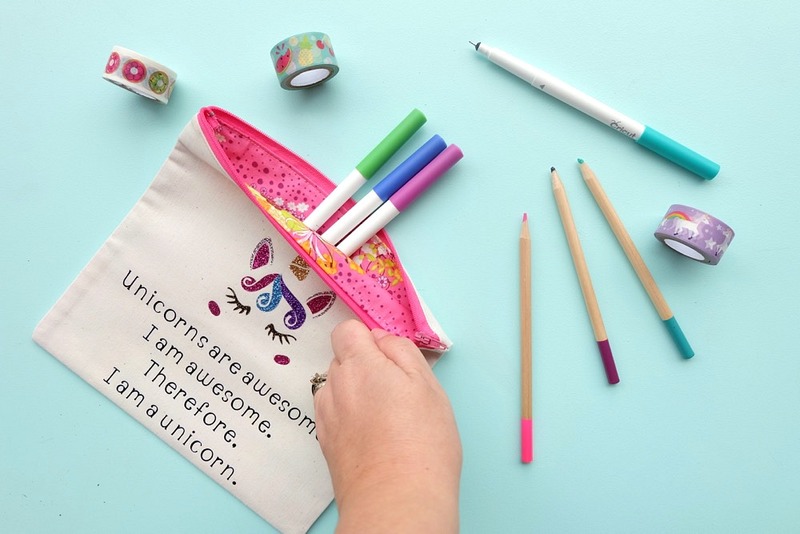 I also love using it for attaching small pieces in multiple colors like the mane of the unicorn in my Unicorns Are Awesome Pencil Pouch. I removed the pieces of mane from their sheet, placed them on the bag, put my protective sheet on top and pressed! Easy peasy lemon squeezy! My original intention for getting a Cricut Brayer Tool was to use it to smooth down fabric onto my Cricut Maker Fabric Cutting Mat, but I actually really love it with iron on. I run the brayer back and forth a couple of times over the design after I apply heat to it the first time and I find that it really helps the iron on to grab onto the fibres of whatever I’m attaching the design to and adhere. I highly recommend the Cricut Easy Press, Cricut Iron On Protective Sheet and the Cricut Brayer Tool if you are working with iron on materials! 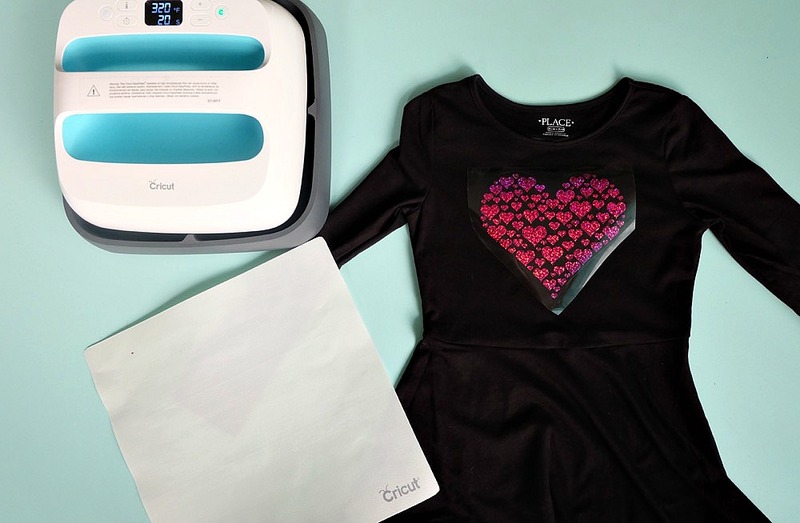 Ready to get started with my Cricut Valentine’s Day Heart Shirt- 1 Cut, 2 Shirts Project? Read on! Cricut Valentine’s Day Heart Shirt- 1 Cut, 2 Shirts! Step 1: Measure your shirt to determine how big you want your design to be. 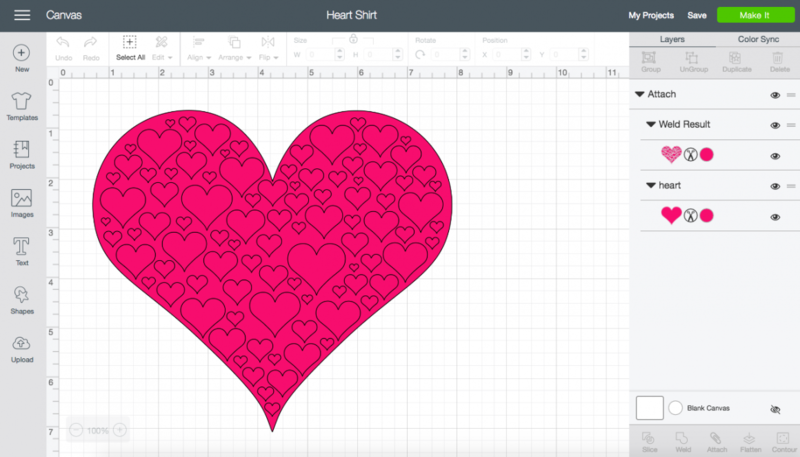 Open my Valentine’s Day Heart Shirt Cut File, click Customize and size it to fit your shirt. Cut the file using your Cricut. Step 2: Carefully weed your iron on. Remove the iron on between the outside edge of your iron on and the heart first. Then carefully weed away the big heart, making sure not to rip it, leaving the smaller hearts on the protective sheet. Step 3: Lay the project with the small hearts on your first shirt. Set your iron or Easy Press to the appropriate settings for the iron on material you are using. Position your design onto the shirt, lay a protective sheet on top and press first from the front of the shirt and then from the back of the shirt. Allow the shirt to cool before removing the clear plastic sheet. If using a braying tool, use it anytime after your first press by running it over the design and pressing down. Step 4: Repeat this process with your second shirt and the big heart design. If using the Cricut Iron On Protective Sheet you can press your design with just that sheet between your iron and the design. 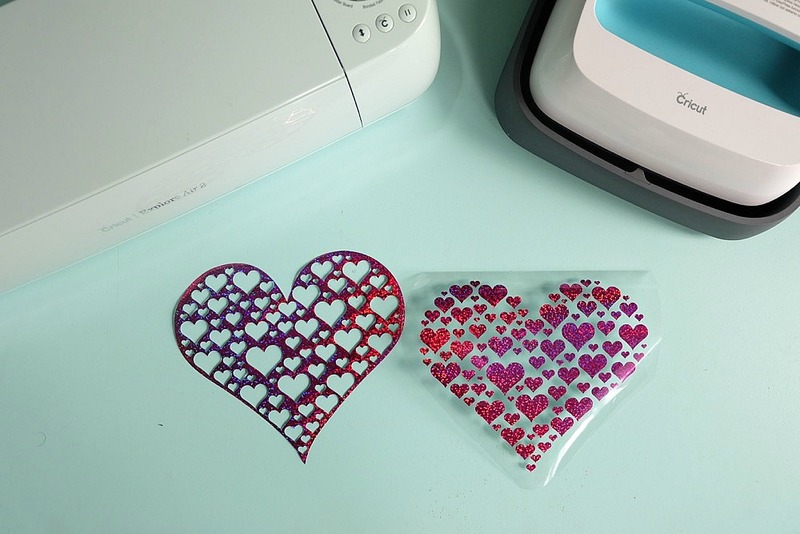 If you are doing this project without the Cricut Iron On Protective Sheet, use the clear protective sheet from your first design as a barrier for your second design. That’s it! 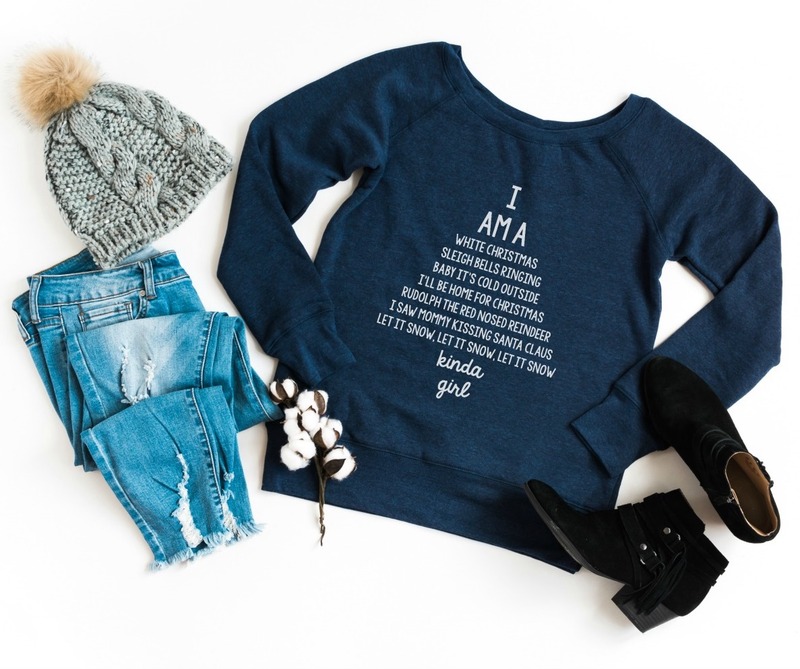 You now have two beautiful shirts using just one design cut from your Cricut Explore or Cricut Maker! Tell me… Do you love to celebrate the holidays making things with your Cricut? 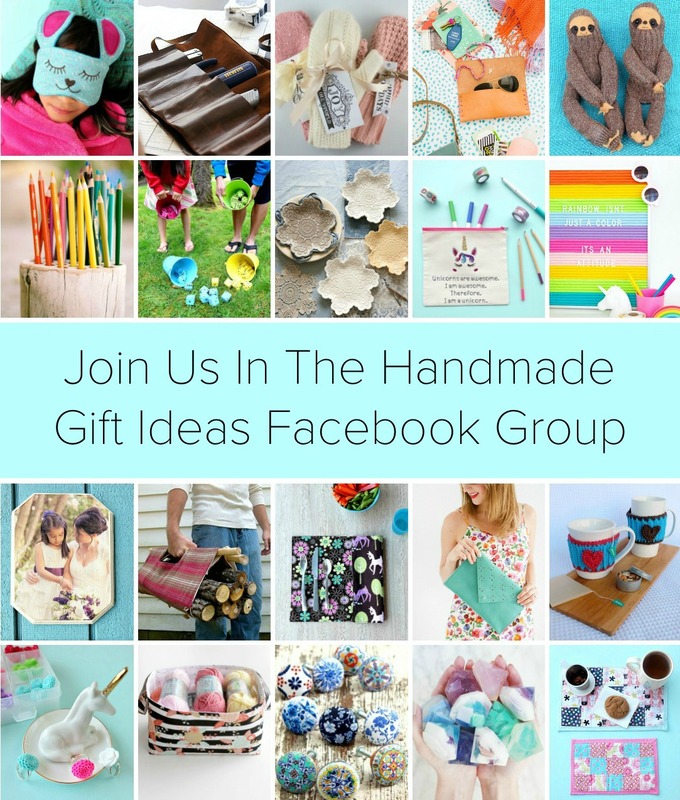 What are some of your favorite projects you’ve made? Let us know what you’d like to see us make next! Disclosure: Thank you to Cricut for providing me with my Cricut machines and supplies! 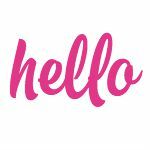 As with every post on Hello Creative Family, all thoughts and opinions are 100% my own. This post contains affiliate links which means that if you buy something using one of our links above we receive a small percentage of the sales. It costs you nothing extra. We appreciate your support! 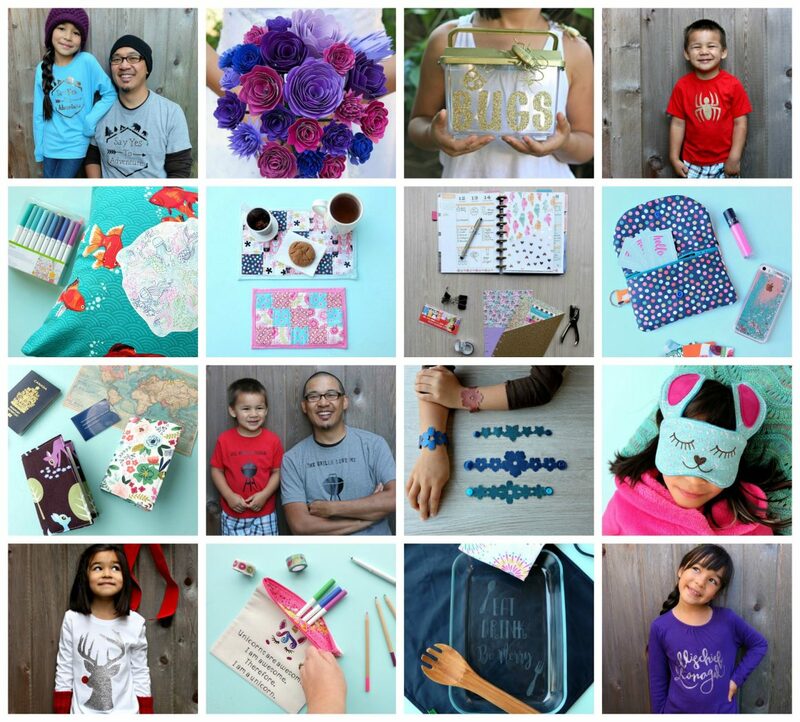 If you like this post, we’d love for you to check out our other Cricut projects! 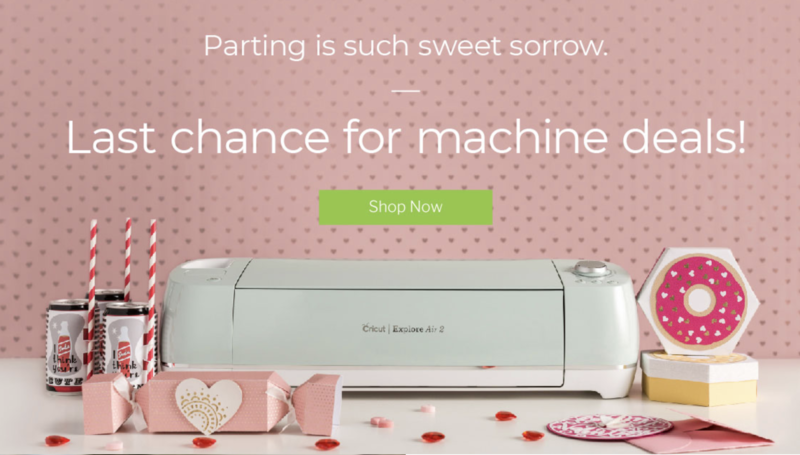 Find our Cricut category here or by clicking the photo above. Very pretty girls! Love the heart design and even love that there’s no waste! Great idea! really cool looking shirt- heard design turned out great. Nice job explaining the steps and providing the template file. Thank for the file and the excellent walk-through how-to. My daughter and her bestie now have cute shirts for VDay! I can’t tell you how happy that makes me! If you end up taking pictures of them I’d love to see! Happy Valentine’s Day! 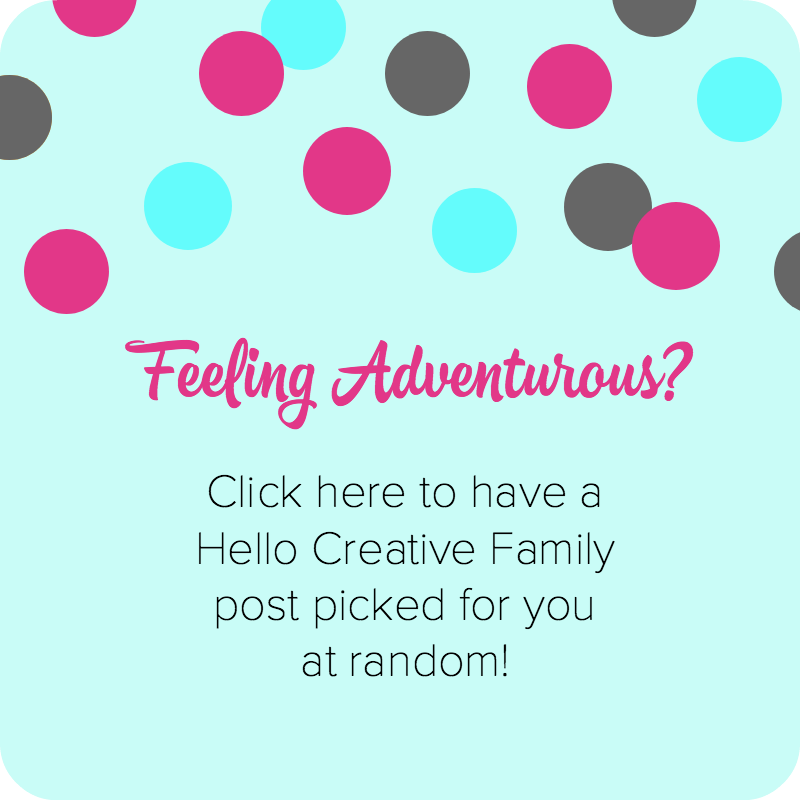 Thanks for visiting Hello Creative Family! I finally posted the pic. Thanks again for your work! The girls love their shirts. They turned out so cute Michelle! Thank you so much for sharing and for trying my project. Thank you so much for your quick response. I can’t wait to make these for my granddaughters. Hi, it’s me again. I went to the website to get the file, but it is forcing me to set-up an affiliate account with a business website. I don’t have a website. Am I in the right place? HELP, please. Thank you. Thanks for sharing! I made shirts for my daughter and her best buddy using this technique. Then, did the same thing with a different design! This makes me so happy! I love that you learned a new technique. Thank you so much for letting me know. I’d love to see a picture if you take any! My email address is crystal@hellocreativefamily.com.